Deity Microphones just released a new dual channel, digital wireless microphone system. This kit includes two transmitters and microphones which transmit to a single dual channel receiver. This is one of the few dual channel systems available for under $700 USD. In this episode, we dive into the details and find out how it sounds, how well it remains connected without interference or dropouts, and how it works with various cameras or recorders. On the show floor at NAB 2019, we met up with Ryan Burke of RODE Microphones to have a look at their new WIRELESS GO system - a small, very simple to use wireless microphone system. The audio in this episode was recorded entirely with the WIRELESS GO into a Blackmagic Pocket Cinema Camera 4K. The audio was loudness normalized to -23 LUFS and no other processing was applied. This was a brutal test for a wireless system - on the show floor at NAB with a ton of RF activity. The handheld mic I use during this was for backup but since the WIRELESS GO did so well, we muted the handheld in post. The WIRELESS GO kit used to record the audio for this episode was provided free of charge to us. We were not paid further to produce this video. Zoom just announced their new F6 field recorder for location sound audio recording. Rather than just tweak the form factor, which they did, they also moved to dual analogue to digital converters which record to 32 bit. So the way you record changes pretty dramatically. When recording to 32 bit, you don't set the gain trim (there is none), you simply adjust the fader for each input channel. If you missed the level, no problem, in post you can cleanly normalize to the levels you need with no degradation in audio quality. They've also switched up a few other things: The screen is a slightly smaller version of the high resolution screen from the F8n, the back of the recorder is a Sony NP-F (L series) battery sled, and you can now power the F6 via its USB-C input. The same quality timecode generator from the F8n is on board, this time with a 3.5mm TRS input/output jack. The F6 has a single SD card slot for recording media and still includes the advanced hybrid limiter when you record in 24 bit. Auto mix is included and the with an adapter, you can use the Zoom Control app for iOS. You can also use the Zoom F-Control control surface. We'll have a full review after the F6 starts shipping, hopefully in June 2019. Pricing still to be announced. This is one segment from the upcoming Zoom F4 course which will be available soon at our school. In this episode, I run through the process of feeding audio out of the Zoom F4 into the 3.5mm microphone input on your hybrid, mirrorless, or DSLR camera. Some cameras make this a little more difficult because their microphone inputs can only be “turned down” so far (lookin’ at your Panasonic), which is not enough. But we also show you how to work around this issue. If you’d like to learn how to make great dialogue audio for your film and video projects, please have a look at my courses at https://school.learnlightandsound.com including processing dialogue audio in Adobe Audition and DaVinci Resolve/Fairlight, recording sound, how to use the Zoom F8 and F8n, and how to get the most from the Sound Devices MixPre series of recorders. Zoom F4 - Audio Recorder and Mixer. Course on how to get the most of your Zoom F4 coming soon! Juicebox 95Wh Cine Battery - I use this to power my F4 for 8 hours. Need the cable below as well. Lectrosonics PDR: Pro level lavalier microphone recorder. Sound Devices MixPre-10T: 8 XLR inputs, very good preamplifiers, analogue limiters, timecode generator, and durable build. This is my backup recorder/mixer for paid jobs. Zoom F8, Sound Devices MixPre-6, and 633 Sound Sample Comparison: Hear the difference between the Zoom F, Sound Devices MixPre, and Sound Devices 633. You’ll need some good headphones or speakers. 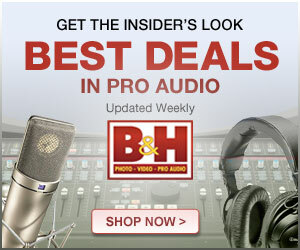 Zoom F vs Sound Devices MixPre - Which should you buy? : A little perspective on which might be best for you. Sound Devices MixPre Control Surfaces: If you’re at a table, desk, or cart, these control surfaces can make mixing a little easier. Zoom F-Control Control Surface: If you’re at a table, desk or cart, these control surfaces can make mixing a little easier.